At Cedar Crest College, students receive the opportunity to practice leadership and problem-solving skills that are necessary to excel and advance in today’s professional fields. Cedar Crest College emphasizes an environment where individual growth and professional skills are integrated so that our students acquire the knowledge, attitudes and abilities that they need to succeed. The multi-disciplinary School Nurse Certification (SNC) Program provides the necessary knowledge and practical skills to those who serve the health needs of school-age children and adolescents. School Nurse Certification is a state-based certification. The School Nurse Certification Program at Cedar Crest College is designed to meet the requirements of the Pennsylvania Department of Education for Level I School Nurse Certification. Other states may accept this program for full or partial completion of that state’s requirements. To determine if a state other than Pennsylvania will accept this program, please contact the Department of Education in that state. The Cedar Crest College School Nurse Certification Program includes 17 credits and can be completed all online or through a combination of in-class and online courses. 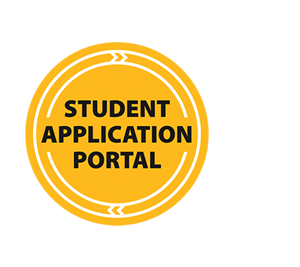 The program can be completed in as little as 3 semesters, and is tailored to the student’s desired course load and preferred time frame. The list of courses includes several courses that will develop the competencies needed to enter the SNC capstone classes. These are offered in the Masters level accelerated online format with one (SPE 542 – The Exceptional Child) in a full-semester online or in class format. The Capstone courses are a pair of courses (SNC 500 + SNC 505) offered in the fall and spring terms of one academic year. They are taken as a set in that academic year and are online. During SNC 505 in the spring term, students complete a practicum experience in school nursing. 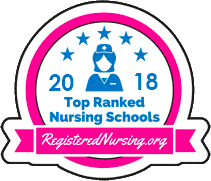 This experience includes 105 hours of practice in conjunction with a certified school nurse in a school district chosen based on student request and the college’s ability to establish an affiliation with that school district. Students will practice at one primary level but also complete some hours at all other levels. All candidates for the school nurse certificate, both in state and out of state, must take SNC 500 and 505 in sequential order and within one academic year. Six credits of college course work in mathematics; three credits in English composition; and three credits in American or British literature. Cedar Crest College requires that the student has earned a grade of C or higher in these courses. Prospective and current nursing students must submit criminal background checks that meet the requirements of the nursing program before beginning nursing courses and annually thereafter. Prospective nursing students with criminal records must disclose their record and schedule a meeting with the Nursing Department Chairperson upon admission to Cedar Crest College. For information about the School Nurse Certification program, please contact our School for Adult and Graduate Education at 800-360-1222. An applicant to the school nurse certification program holds an unencumbered active professional nursing license with one year of professional experience and a bachelor degree. An undergraduate GPA of 2.5 is required for admission. A GPA of 3.0 is required for progression in the program and PA School Nurse Certification.